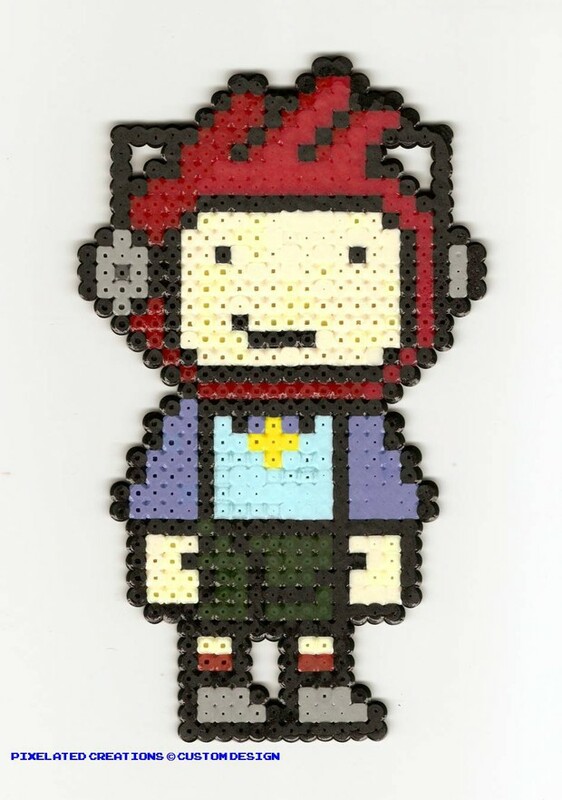 Community Blog by Faith // Scribblenauts - Pixelated? So this is my entry for the Super Punch Scribblenaut's art theme contest. It's not much but its my own design and I made it in one day. I don't really make a lot of my own videogame designs and this is probably the coolest one I've made on my own - completely on my own. No pattern to start with. I don't think I'll win with it but the blog owner of Super Punch did feature it on the site today which was nice. Kudos for me. Yay! I can't wait to play this game. It looks so awesome. "ALSO WHERE'S THE ARTSY FARTSY TAG GONE?!"